Designed for continuous-operation performance, Sol-A-Venta Roof Vents provide superior air movement using only the natural energy of the sun while preventing the intrusion of water. The Sol-A-Venta models offer positive venting by creating a negative pressure within the roof system which tends to draw air, including moisture, out of the roof system. Powered by the sun with an internal nicad battery, generates power performing effectively during overcast days, in shade and during low light periods of early dawn and late dusk. 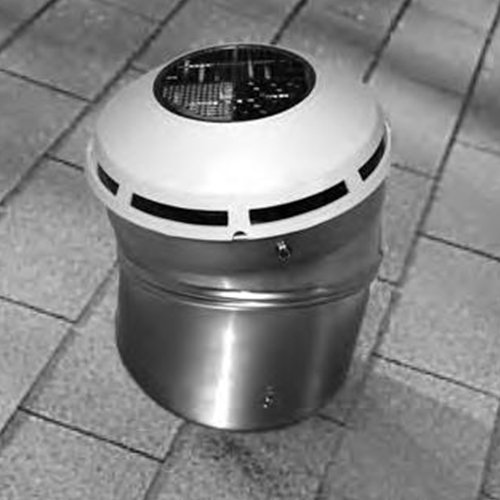 This unit can be installed on roofs to a 12/12 pitch.